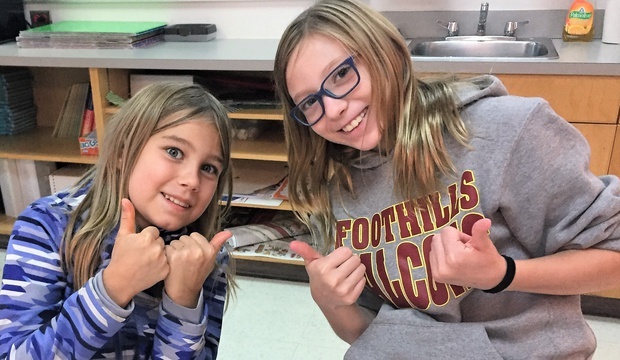 Foothills Academy welcomes students with identified Learning Disabilities in grades 3 to 12 who are struggling to succeed in the regular school system. Many students who come to us may have been experiencing feelings of failure and not fitting it in their current schools. We need to make students feel valued for who they are with all their individual strengths and challenges. When students feel safe and cared for, they are more willing to engage with learning again. Our teachers, educational assistants, support staff and administration work together for the same goals for our students. Students are surrounded by staff throughout the school who truly care about them. Being a school of under 300 students allows strong relationships to form and students cannot go unnoticed and slip through the cracks. Everything that we do at Foothills Academy has its foundation in our school philosophy which is based on Self-Determination Theory and summarized by this slogan. 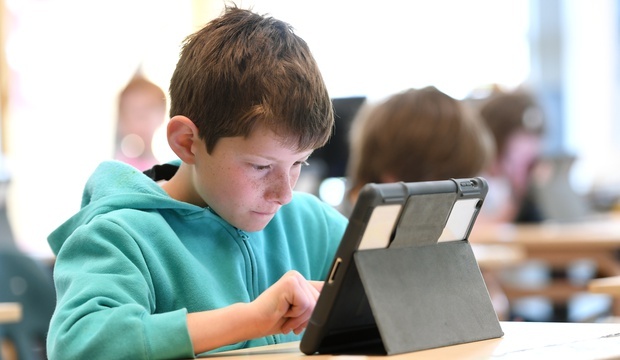 We teach the Alberta Education curriculum and provide accommodations and supports to allow each student to succeed to the best of their ability. You can see how the program is geared to the needs of our students at different ages by looking through our Elementary, Junior High and High School program pages. We are proud that we have a 0% drop-out rate with nearly every student graduating from grade 12 on time. 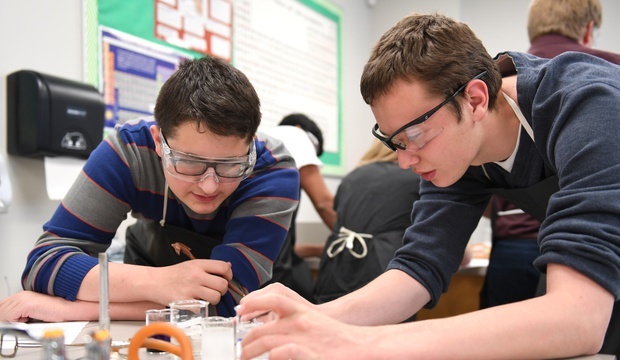 Over 70% of our grade 12 students are eligible for the Rutherford Scholarship which indicates our students are graduating from Foothills with the knowledge and skills they require to be successful beyond Foothills Academy in post-secondary and the workplace. Teachers and assistants work tirelessly to ensure that the individualized needs of their students are met. 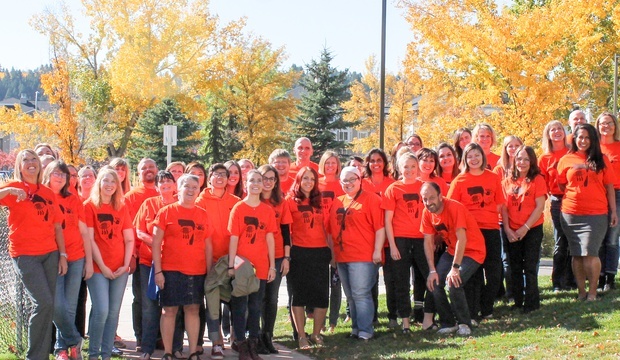 All of Foothills Academy’s dedicated staff are expertly trained in working with students with Learning Disabilities and receive regular professional development to stay up-to-date with evidence-based practices. In addition to the expert teaching staff we have in the classrooms, students have access to extra supports to enhance and maximize their learning potential. Educational Assistants, Assistive Technology and IPPs are available to and benefit all students. For those who require more, specialized support, we have additional Assistive Technology, Psychologists and Occupational Therapy and Speech-Language Therapy. Our bright and airy building is warm and welcoming to students and families. 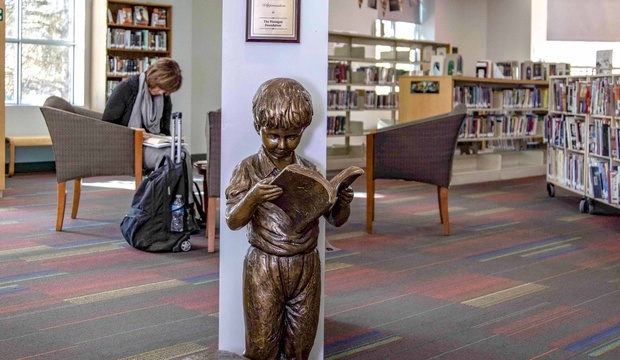 The positive and engaging learning environment is individualized to students’ needs. We have students from across the city and beyond. We provide bussing from anywhere within the Calgary city limits and Cochrane. Our small size does not limit opportunity. In addition to the basic curriculum, we offer a wide range of electives, extracurricular activities and clubs. Staff recognize that a single club or event can have a marked impact on helping to foster new relationships and identify student strengths and passions that offer future career pursuits. As a parent or guardian, you will also be an important member of our Foothills family. 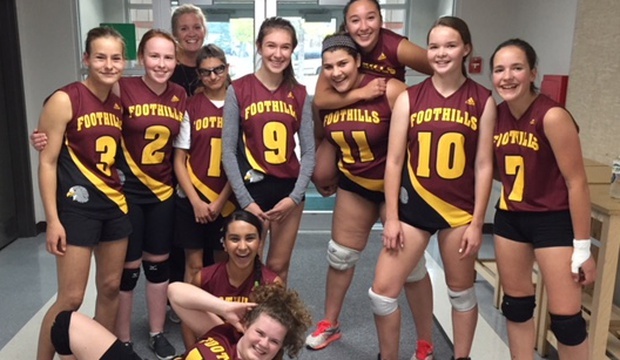 We need your involvement to ensure the success of your child at school and we need your assistance to ensure that Foothills Academy continues to be an organization that can provide a financial accessible school program to children who need it.